If your son makes friendship with the difficult and long-time enemies of your own family/clan then how do you describe him and how do you feel about your future? Will it not be likely to open the door to countless tragedies? But in India, such thing is now being openly celebrated. For past couple of years or more the political leaders of certain parties have been taking the wrong step forward in having closed-door meetings with the leaders of Pakistan/China. What transpires among them is obviously against the present government and the nation’s fundamental ethos. 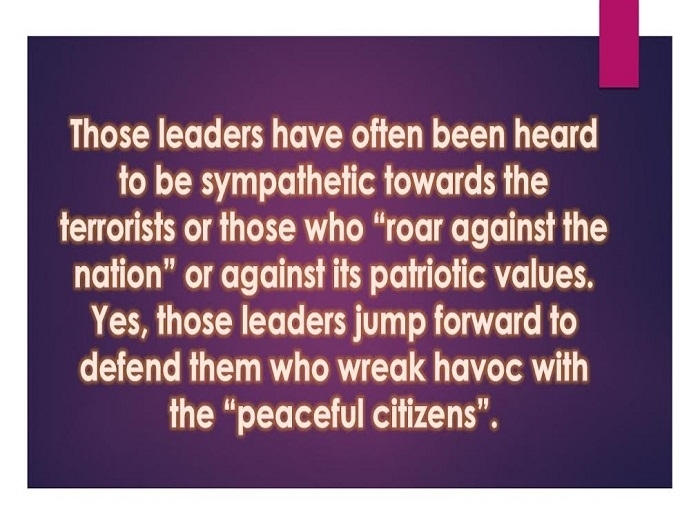 Those leaders have often been heard to be sympathetic towards the terrorists or those who “roar against the nation” or against its patriotic values. Yes, those leaders jump forward to defend them who wreak havoc with the “peaceful citizens”. Some leaders are apologetic that certain NGOs/media/religious bodies should not be harassed in the name of fighting the terrorists and ISIS. This is how country’s leaders defend the dangerous postures of dangerous outfits. Will this trend not invite greater troubles to the nation in future? One wonders how the apex judiciary of the country just allow the political parties to pour out their pent-up anger before the leaders of neighbouring countries who are always aggressively in the combative mood. Why is the Supreme Court silent on such blatant subversive activities? 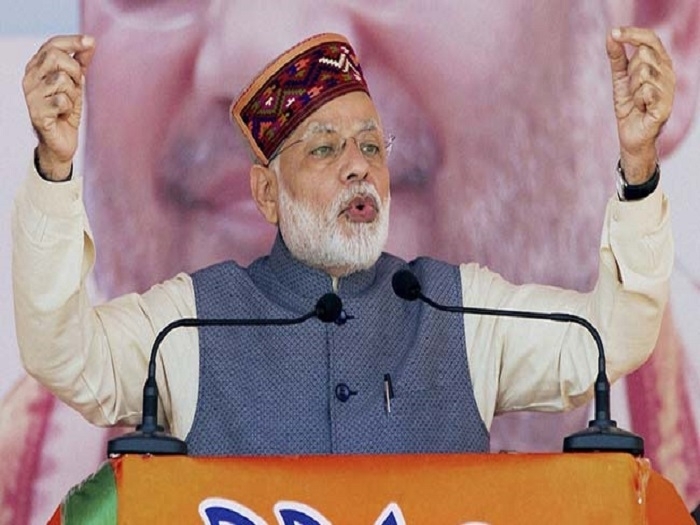 Very recently, one senior leader of the national party even scoffed at Prime Minister Modi by calling him a depraved being “Neech”. What are the criteria for one being morally low? Has PM Modi fallen short any standards of the integrity since he works sincerely hard and formulates innovative plans and schemes for the greater welfare of the nation? Well, has he not been constitutionally elected by the people of this country? Why the media is less aggressive and more defensive for those “transgressors” who wield daggers behind the cloak. 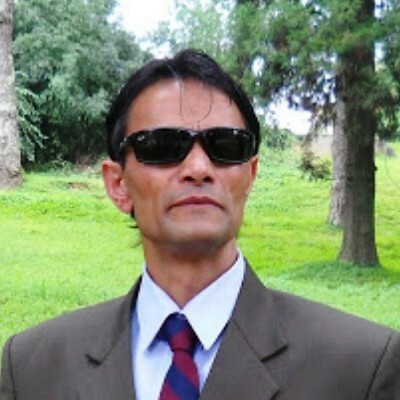 Whatsoever be the political dispensation at the centre, such open rebellion against the government will not augur well for the nation and its 1.25 billion citizens.